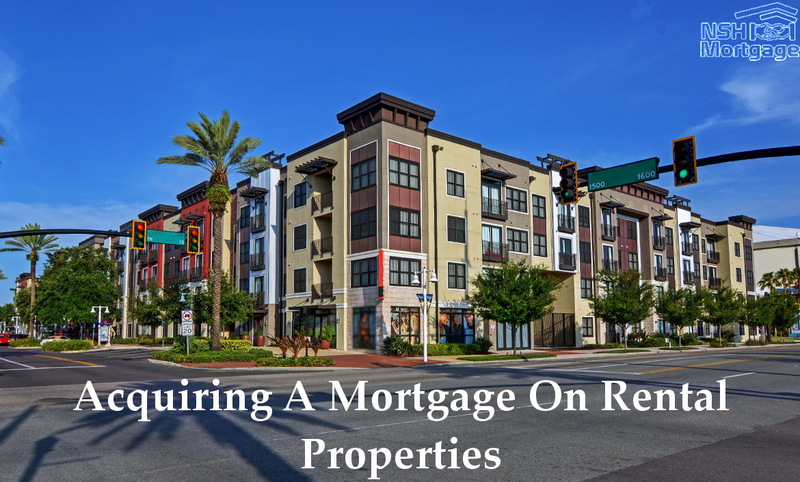 Acquiring Mortgage Approval On Rental Properties. NSH Mortgage has the knowledge and tools to help you invest in a rental property. Investors receive property income from regular rental payments or capital gains, but the timing changes the transaction considerably. Property flippers like to pick up distressed listings, fix them fast and resell immediately at a profit. Other investors may make repairs to improve the home’s value or rentability. However, their goal is a long term investment that yields monthly income and some tax advantages. Most experts advise first time homebuyers to invest for the long term rather than the quick killing. Know your rehab. You or a partner must be able to predict accurately rehab costs. Keep an emergency account, and you need a cushion for unexpected expenses or cash flow glitches. Do work you know and if you can repair serious structural issues, there is money to be made, but if that is beyond your expertise, stick with cosmetic stuff only. Buy at least 30 percent below the after repair value of the property. Home flipping is an aggressive and active investing strategy that requires a lot of time, know how and hard work. So analyze your income potential like an underwriter or an appraiser would factor in value. The investment property appraisal form calculates property value by subtracting expenses, including landlord paid utilities, from gross rents. Next, determine what you will need to put aside each month for appliance and fixture replacement. Your monthly operating income equals rent less these expenses. That gets hit with a vacancy factor of (usually) 25 percent, giving you 75 percent of the operating income. Finally, subtract the mortgage payment to get your net cash flow. The underwriter uses that number to adjust your total income up or down to see if you qualify for an investment property mortgage. Keep in mind that your actual after tax income will be different. Your mortgage payment includes principal repayment, which you recoup as home equity. You also get to deduct your operating expenses as well as depreciation at tax time. That means money that actually makes it into your bank account cash flow, and can seriously outstrip the property income that mortgage lenders count. You can have a negative operating income but still have a positive cash flow. Running the figures through income tax software can show you how the property will really affect your finances. There are many types of loans usable for investor property purchases. Some lend themselves more to flipping, while others work best for buying and holding. In general, the higher the rate and fees the lower the credit standards are and the greater the down payment. Flippers frequently use hard money, loans from private lenders some claim that it was expensive because it is very short term. Buyers pay several points upfront with a high interest rate and make big down payments. You can see the risk and if you cannot sell fast at a profit this kind of financing can drain your resources very quickly. You can get mortgages for rental property backed by good old Fannie Mae and Freddie Mac. These home loan rates are likely to be lower than those of other programs, but there are risk based pricing adjustments and tighter credit guidelines. Investor property surcharges range between 2.125 percent (to the loan fees, not the interest rate) for 60 percent loans to 4.125 percent for 85 percent loans. That represents a .5 to one percent rate increase. Not all mortgage lenders must conform to Fannie or Freddie guidelines. Nonconforming also called jumbo, non prime, or portfolio lenders, like your may finance your purchase more easily. Or, if you have enough home equity, you could finance an investment property with a loan against your primary residence. This strategy could get you better mortgage terms. One requirement for most government backed home loan programs are that the borrower must live in the house as a primary residence. So you can only get a government mortgage by buying a primary residence that you convert to a rental later. You might also take over someone’s assumable loan, or buy a multi-unit property and live in one of the units. Some of the richest people in the country started in real estate investing. Chances are good that if you can get approved for a rental property loan, the house is a decent investment for long term cash flow.